Full range of Auxiliary equipment from Interpack Machinery. 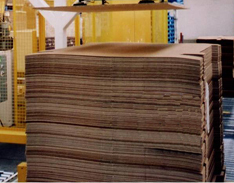 Pallet centralisers are very useful for ensuring that loads are correctly positioned prior to Strapping and Wrapping. 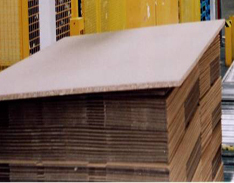 The IMS Top Board Applicator is robustly designed to dispense wooden top boards onto loads as required without operator intervention. 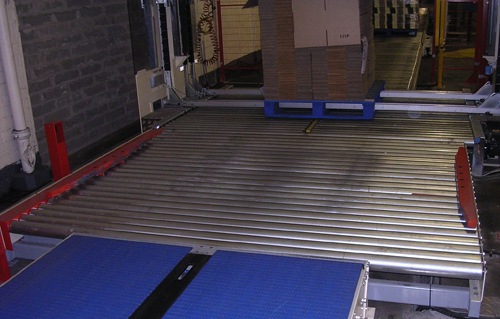 This unit removes the exertion required by operators to lift heavy wooden boards onto finished goods loads. 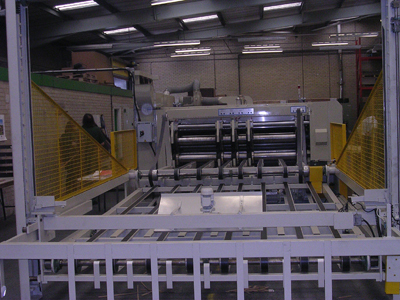 IMS stackers are designed to suit your specific machine width and board line. 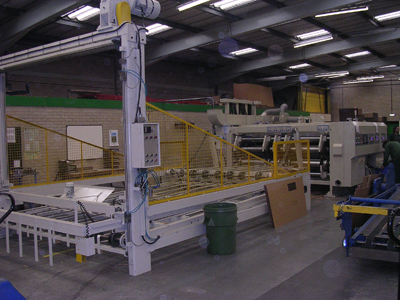 We can accomodate machine widths from 1.6m through to 4.5m and board lines from 600mm to 2.2m. Standard design or "bomb door" attachment as required. 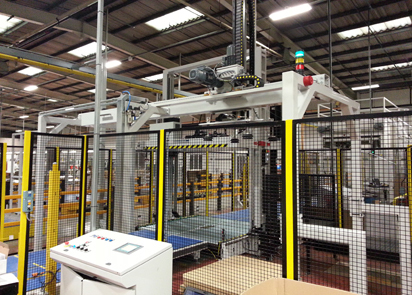 High board line machine stackers available for printers. Manual or motorised raising of layboy section.